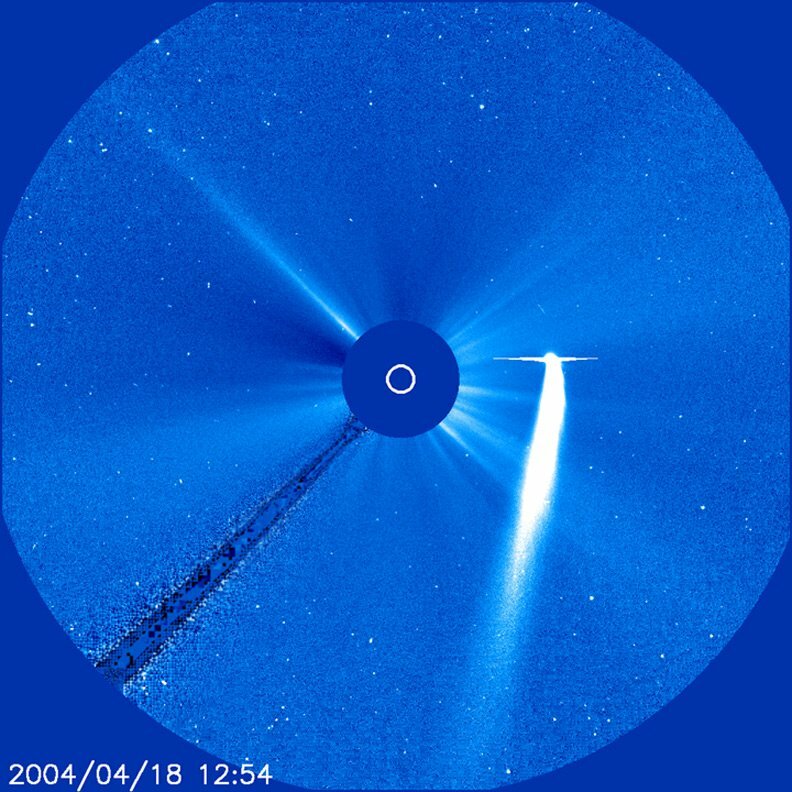 Comet Bradfield as it passed through SOHO's C3 coronagraph's field of view on April 18, 2004. It created quite a sensation with its bright head and long white tail trailing behind it. The coronagraph blocks out the Sun's intense light to allow us to see faint objects in the corona. No one really knew how bright it would be and no one was disappointed. This comet continued on past the Sun and out into space.